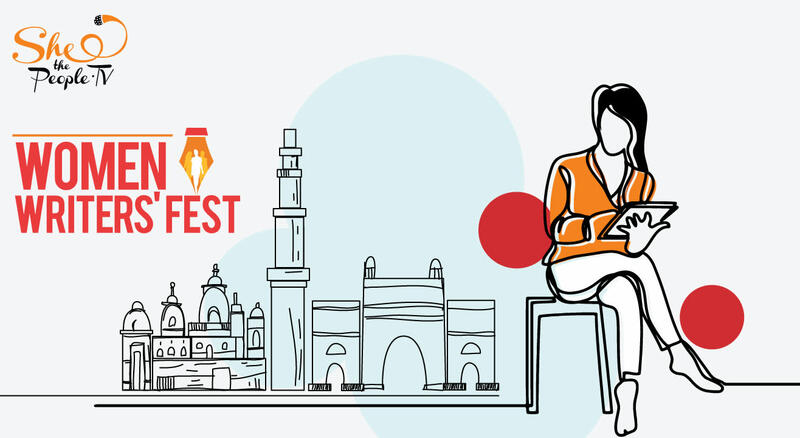 SheThePeople.TV presents Women Writers’ Fest in Delhi on 30th March 2019. The fest is a celebration for women writers and a few men, from varied fields, be it script writing, blogging, books, theatre and more, to come together and discuss issues that are important to modern women. This is where women express and engage in thoughtful debate and dialogue. Writers and festival Directors Shaili Chopra and Kiran Manral invite speakers who are breaking new ground in content, style, and storytelling. Authors like K R Meera and Anita Nair, are sure to inspire imagination, conversation and ultimately, change. Come over and meet Snigdha Poonam, Shaili Chopra, Kiran Manral, Poonam Saxena, Ghazala Jamil, Seema Mustafa, Sujata Parashar, Himanjali Sankar, Ruchi Kokcha, Anoo Bhuyan, Karthika VK, Kishi Arora, Marryam Reshi, Pallavi Nigam, Kavita Devgan, Saumya Kulshreshtha and many more.